Police say the manager of a local grocery chain was the victim of assault at the hands of an alleged shoplifter Friday. Maryroefina Catha, 40, was arrested the morning of June 15 at the Bashas’ grocery store for allegedly attempting to steal a six-pack of beer, a box of wine and margarita mix. Prior to her arrest, Catha attempted to exit the building with the stolen items. The store manager reportedly confronted her and attempted to “secure” the woman’s purse. That’s when Catha “grabbed (the manager’s) neck and arms from behind” and claimed she had a gun in her purse, according to a Maricopa Police Department report. A responding officer noted abrasions on the manager’s shoulder and side. Catha denied stealing the alcohol and allegedly admitted to physically grabbing the store manager. MPD forwarded charges of class 1 misdemeanor shoplifting and assault, also a class 1 misdemeanor. 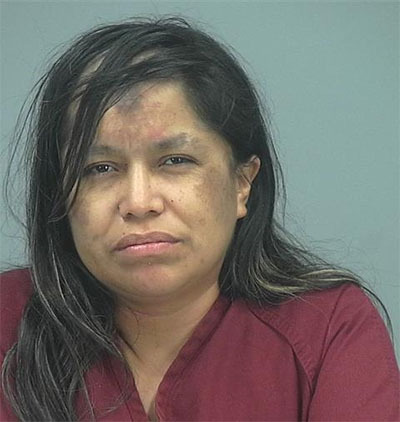 Catha has one prior shoplifting charge out of Maricopa County in April.